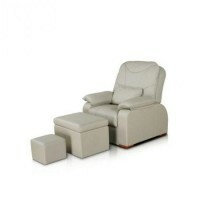 SPA pedicure chair ZDC-915B (KME-1), buy at the price of 2635 . 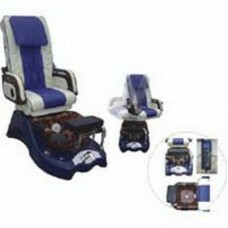 ZDC-915B SPA-chair is an unique system, designed to create the maximum comfort during the procedure for a client. 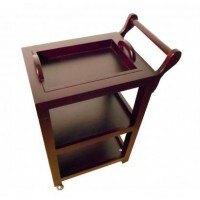 It is important, that the chair is staffed with quality acrylic oval tray with six holes for jets of water, the direction of which can be controlled independently. It is equipped with a special ozone system, which helps to provide an excellent relaxing foot massage. Available feature of hydro-massage; the chair is equipped with a regulator of height and angle of the footrest, as well as a rotating seat and voluminous armrests. The chair is suitable for all kinds of beauty treatments: treatments of high-quality pedicure, massages, body wraps and many others. Thanks to that, you can choose the color of the product, it will fit the interior of any room.